1. 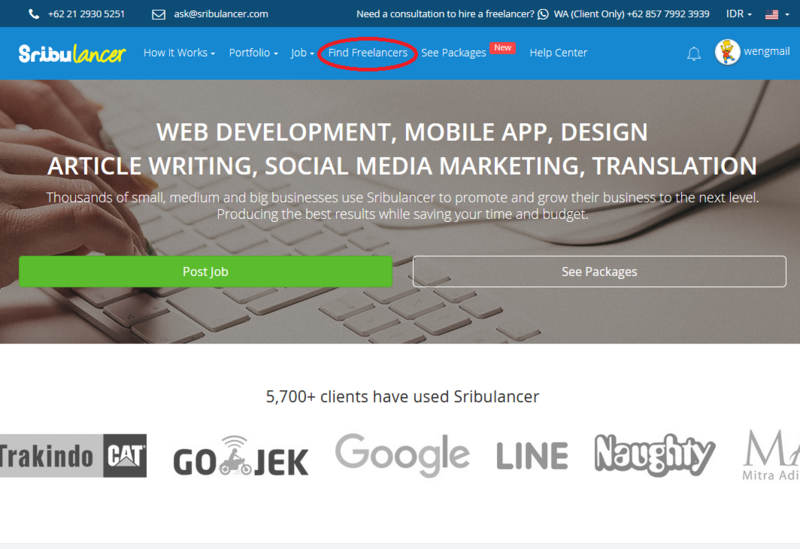 Login to your Sribulancer website and click "Find Freelancers" on the menu listed above. 2. 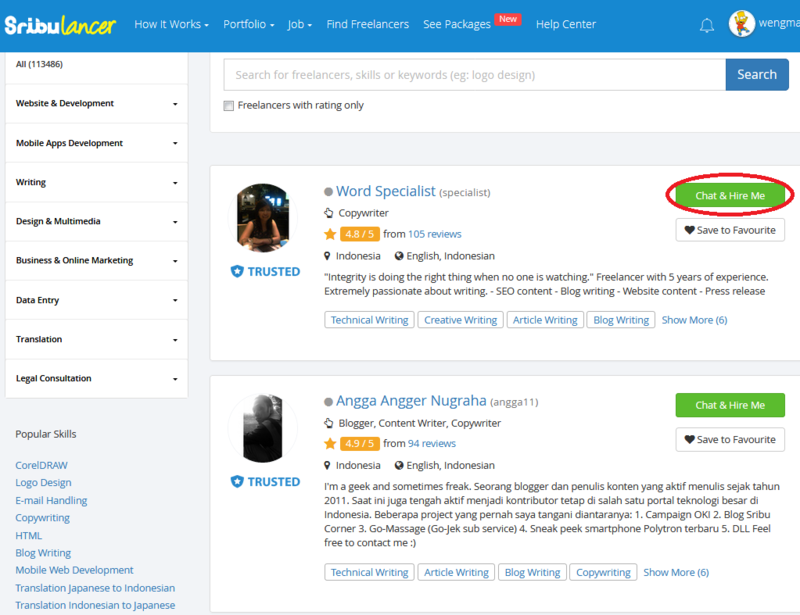 You will be directed to a "Trusted Freelancer" page where you get to select freelancers based on your need. Click "Chat & Hire Me" to begin communication with a freelancer of your choice. 3. On the next page, fill out the message you wish to send to the candidate. Click “Submit” to send a message to the freelancer's inbox. If he/she replies, it will automatically go to your inbox. 4. Once you and the freelancer have reached an agreement on the project, then you can proceed to the payment process. As soon as your payment is confirmed, then a workspace will be opened for you and the selected freelancer. Congratulations! You have successfully hired a freelancer of your choice directly.